People love being near this green wall. Restaurant visitors want to sit near it, takes pictures of it and the local restaurant employees enjoy it on a daily basis. The green wall cleans the air and irrigation water from the wall is reused in the planter below reduce water-use. People want to dine near the green wall. The booths adjacent to the green wall are always booked. 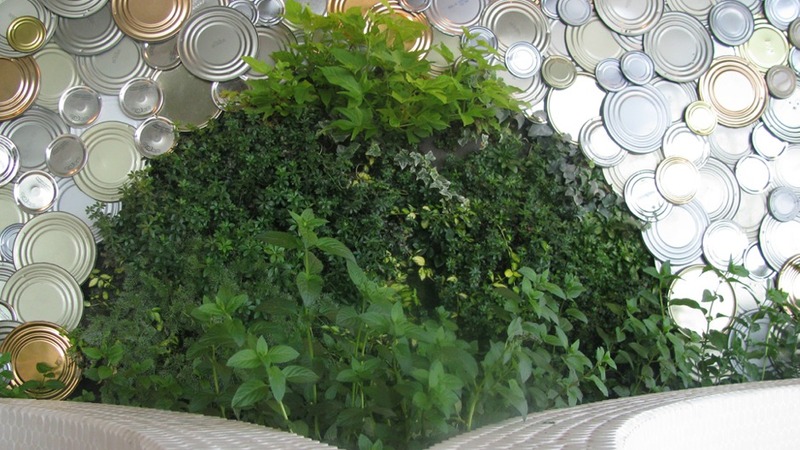 The restaurant saved tin-can lids for 3-4 months for the artwork created in between the living modules. The RootDOWN DIA Living Wall is a great case study for ecological patterns of performance and the integration of art and living systems. Leila Tolderlund thrives when observing the interaction between people and green infrastructure in cities. She works as Assistant Professor and Associate Chair in the Landscape Architecture Department at University of Colorado Denver (UCD). Leila has a focus on public health related to urban living systems design, planning and theory, and enjoys critical innovate design thinking for inside-outside transitions. She currently teaches Landscape Architecture Core and Advanced Vertical Design Studios, Integrated Cross- Disciplinary, Green Infrastructure and Design Process Classes, as well as International Urban Design Studio and Study Abroad primarily to Scandinavia. She has been with UCD since 2006 and is an often-used speaker at national and international green infrastructure conferences. Leila also practices Landscape Architecture with her own firm - primarily on projects in the US, China, and Denmark related to green roofs, living walls and green facades. 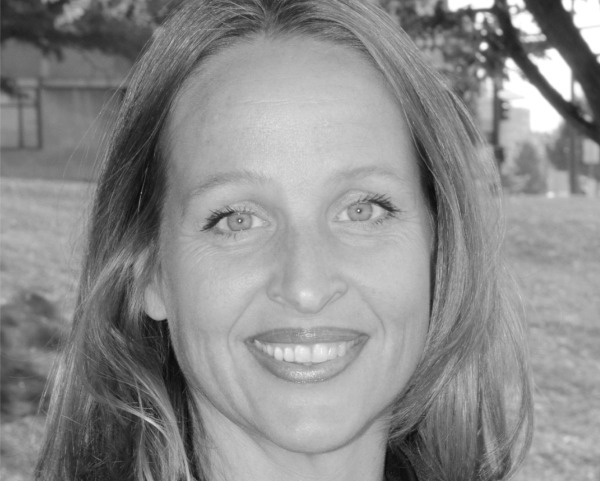 Leila Tolderlund also practices Landscape Architecture with her own firm - primarily on projects related to green roofs, living walls and green facades.